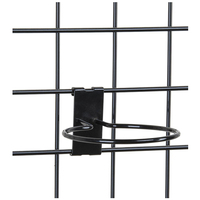 These 7-ball waterfall hooks are made of metal and have a descending angle. 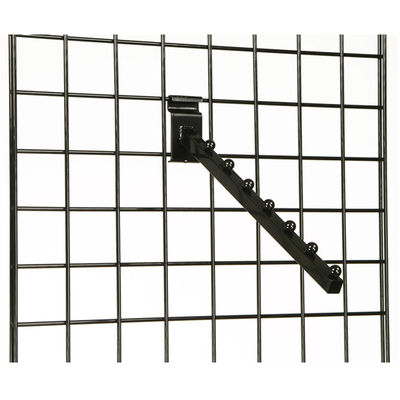 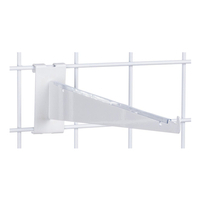 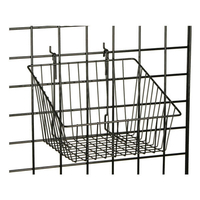 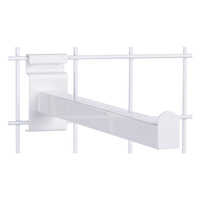 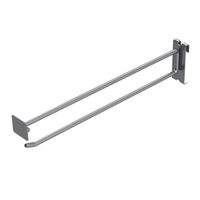 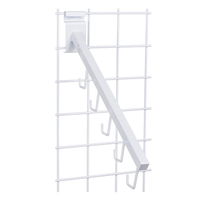 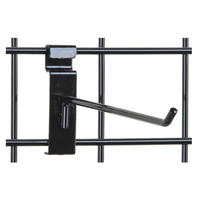 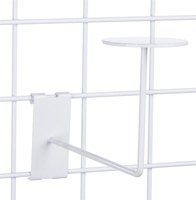 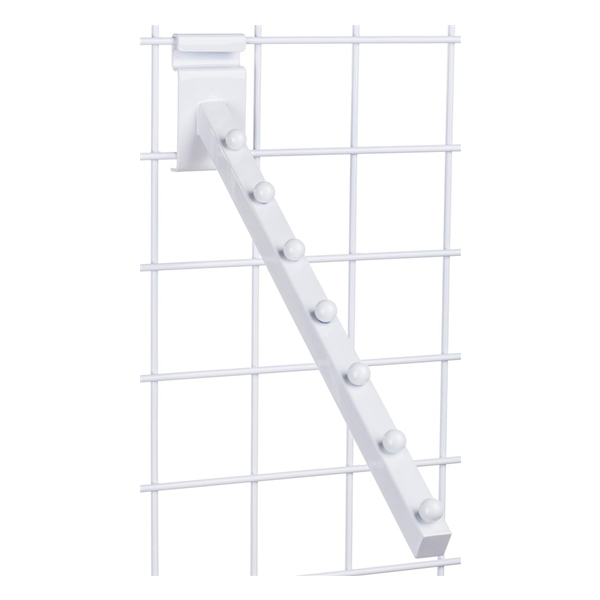 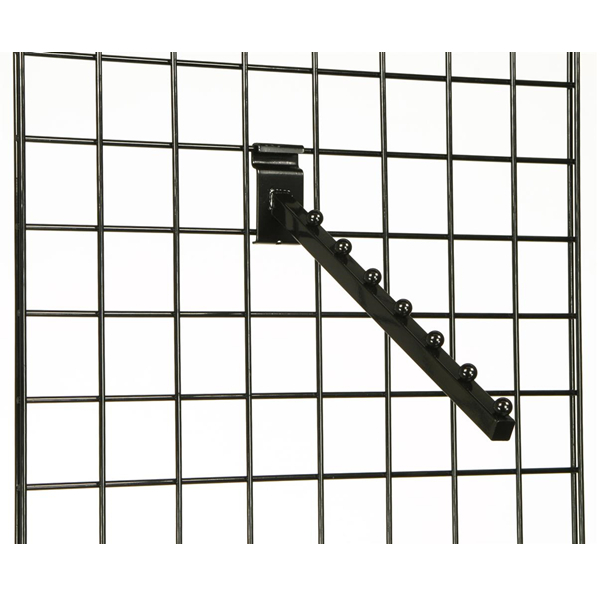 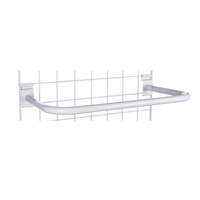 This type of peg easily attaches to most grid panels and requires no additional mounting hardware. 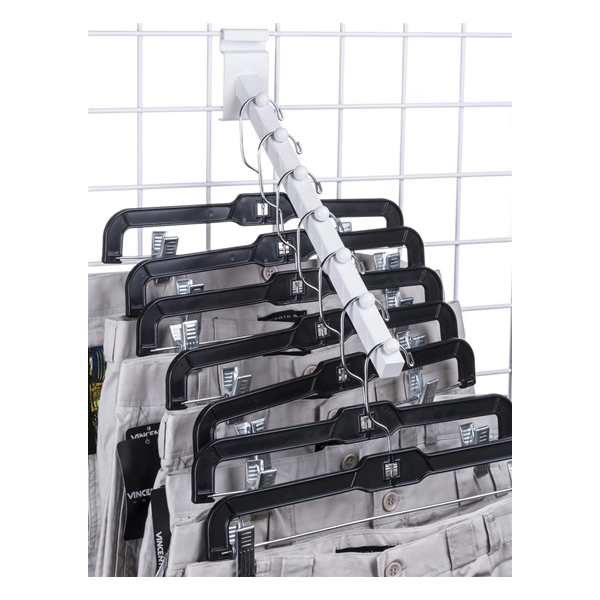 Retail stores can make great use of 7-ball waterfall hooks like these to display impulse items like small toys, candy bars and keychains. 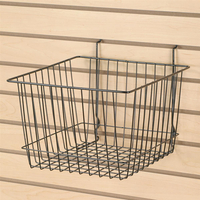 The metal hardware use 1" diameter spheres to hold merchandise in clear view. 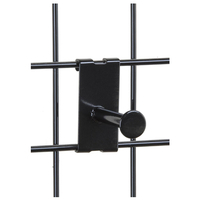 The angled waterfall hooks feature a neutral powder coat finish that will match any décor, but black is also available. 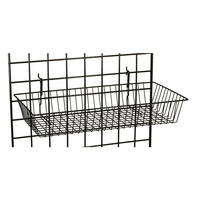 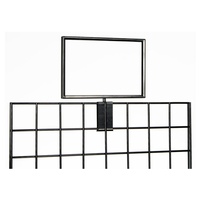 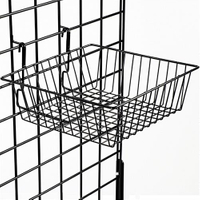 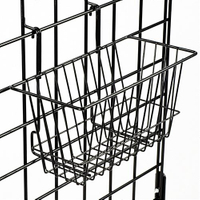 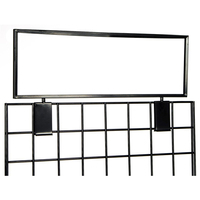 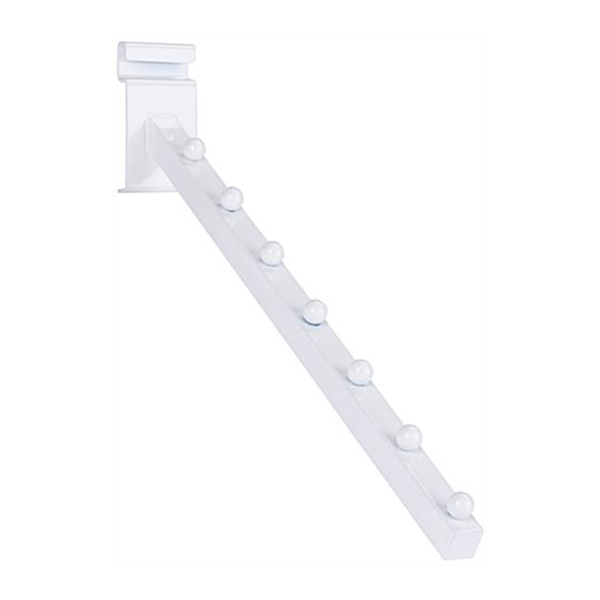 The grid panel hardware measures 16" long, allowing it to stand out in any retail store.